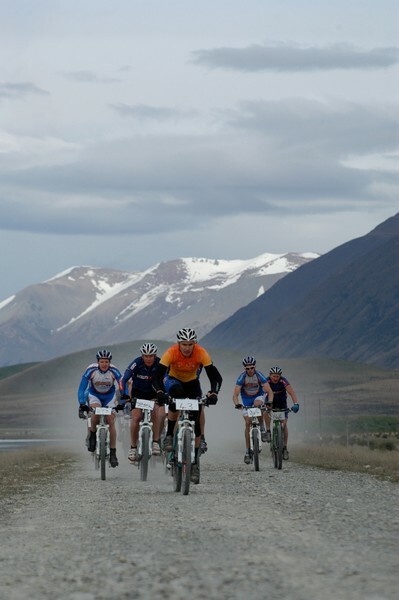 More than 700 runners and bikers from around New Zealand and Australia did ‘hard labour’ in Twizel over Labour Weekend. The popular annual sporting event started with a 19.2km off-road Pyramid Run on Saturday 25 October, followed by the inaugural 60km road bike Canal Caper on Sunday and the 44km Dusky Trail Mountain Bike Race on Labour Monday. The winner of the Pyramid Run for the second year in a row was Tom Hunt from Dunedin who crossed the finish line at Ben Ohau Station in 1 hour 13 minutes and 3 seconds. Close behind were Dougal Allan (1:13:12) and Jason Palmer from Dunedin (1:13:47). In the Open Women’s category Julia Grant from Christchurch claimed first place in 1:22:18 followed by Nicola Handley, also from Christchurch, (1:26:41) and Megan Balchin from Dunedin in third (1:28:26). On Sunday all eyes were on the finish line to see who would be the first to win the newly-introduced Canal Caper. The battle for first place was incredibly close but in the end it was the winner of the Classic Men’s category, Graeme Nuttridge from Christchurch, who took the title in 1:31:04. Hot on his heels were Adam Milne from Christchurch who won the Open Men’s category in a time of 1:31:06 and Veteran rider Neil Sutherland from Christchurch in a time of 1:31:07. A fantastic ride by Christchurch’s Julia Grant resulted in her win of the women’s event in 1:32:25. Sara Macdonald from Dunedin took second place (1:35:43) and Ailsa Rollinson from Wanaka placed third (1:35:49). Canal Caper organiser Steve Skinner was delighted with the number of entries. The Dusky Trail Mountain Bike Race rounded out the sporting action on Labour Monday. Brent Miller from Christchurch took first place in a time of 1:38:11, followed closely by Logan Horn from Christchurch, 15-17 age category (1:38:12) andRyan Hawson from Australia (1:39:45). Sara MacDonald from Dunedin won the Open Women’s category in 1:50:44. Second place went to Wanaka’s Ailsa Rollinson in a time of 2:09:24 and Nicola Handley of Christchurch took third in 2:20:16. Conditions for the three days were near perfect and the first rain drops only started to fall at the end of the prizegiving. Hard Labour event organiser Ali Bell says the weekend was a huge success with record numbers entering the Pyramid Run. “People had a great time and adding a third event to the mix seems to have been a hit. Hard Labour is a great way to spend a long weekend – getting active outdoors, enjoying the company of friends and family and seeing some of New Zealand’s most beautiful scenery at the same time. It’s great to see the community spirit and camaraderie amongst the competitors. For full results and photos visit www.twizelhardlabour.org.nz. The Pyramid Run is suitable for runners and walkers of all ages and abilities and is a great way to experience a slice of the magnificent Mackenzie region. 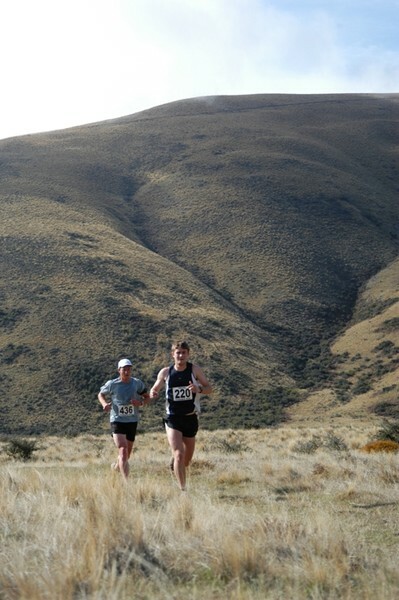 The race starts and finishes at Ben Ohau Station and has a few undulations, with about a 200m climb over 5km to the Pyramid Saddle. At the top end of the scale it has attracted some top athletes in the past including legendary multisporter Steve Gurney. The Canal Caper is a 60km road bike race around Twizel’s turquoise blue hydro canals. The race was created by local multi-sporter Steve Skinner in response to participants asking for three days of outdoor activities instead of two.